Hello English learners, welcome to Learnex – A part of Let’s Talk English Speaking Institute in Mumbai, where you learn English through Hindi. In today’s free English speaking lesson, you will learn 07 English verbs and 50 English sentences that you come across in your daily English conversation. Verbs play an important role in English communication, as they tell us what action the noun is doing at that point in time. It is imperative to learn verbs and how to use them correctly in English. 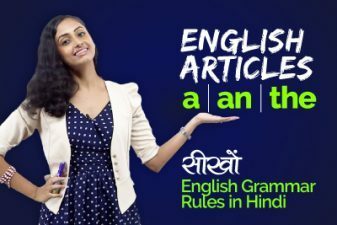 This free English speaking lesson in Hindi focuses exactly on that, you will learn the most commonly used English verbs and how to use them correctly in English conversation. Practice the sentences given below. I don’t agree with you? She always agrees with me. Karan agrees with my decision. I can agree with you, if you show me the proof. They mostly agree with their manager. Please, don’t argue in the class. She argues with me all the time. Tina argues with me for little things. They argue every day at home. Do you argue with the shopkeeper every time? Please don’t blame me, I did not do anything. I am innocent. She always blames me for everything. You cannot blame him, I’m sure he did not do anything. Why do you always blame me for everything? Please believe me, I’m nit lying. I don’t believe you, you never tell the truth. Do you believe everything she said. He believes that you are a hardworking person. I have to prepare for my exams. Did you prepare for the interview? She has to prepare for tomorrows presentation. We have to prepare for the wedding celebration. Can you prepare a nice skit for the school. Did you start this fight? Can you start my car, please? Tell me when the movie starts. Start working on your project from today. I cannot start my work right now. I depend on my car for daily travel. She depends on her assistant for her work. Do you depend on your brother for everything?